Robin was down with a high fever due to a bad sore throat. Though he was on medication, he still could not recover. Over the phone I could hear his uncomfortable voice, he was suffering for the past few days. I told him I have a remedy for sore throat, which was taught to me by my late mother when I was a little child. I advised him to drink hot water. Yes! Boiling hot but sip it slowing as not to burn the tongue. Drink as much as possible until the late night. The hot water can clear the infected throat. He could be on medication, but without enough water in his system, the recovery could be slow. It works well for me since young. Robin took my suggestion. To drink eight glasses of water at one time is difficult but if you drink it hot, eight or more glasses is much easier. Yes! He drank more than eight that day. And the next day, he was back to normal when the fever and sore throat disappeared. See! The traditional remedy works too! 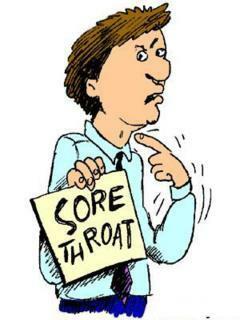 Sometime I wonder why doctors don't suggest this remedy for simple sickness like a sore throat. If they do... They might be out of business in no time.